Click here to read the whole felon profile. Yoga Jones, also referred to as “Woodstock” by Mercy and “String-cheese” by Janae Watson, is the yoga instructor at Litchfield as well as the “Simon Says” coordinator for the Mother’s Day event. Click here to view the full felon profile. 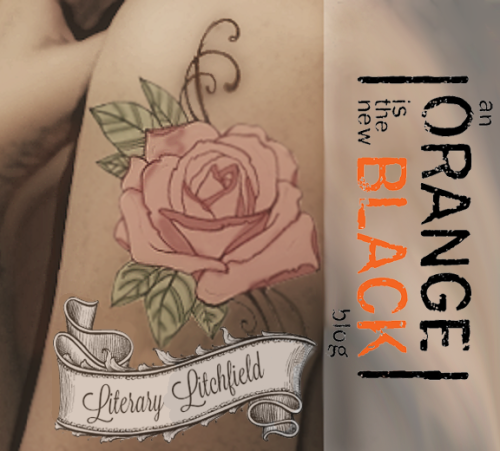 Natalie “Fig” Figueroa, or “fangs” as Joe Caputo calls her, is one of the prison administrators who is in charge of maintaining Litchfield’s image to the press in seasons one and two. Maureen Kukudio is a socially-awkward new inmate processed into Litchfield Penitentiary after its privatization by the MCC. We are first introduced to her in Berdie Rogers‘ drama class. She comes to the foreground of the season three plot when she takes a special interest in Suzanne “Crazy Eyes” Warren. Galina Reznikov, better known as “Red,” but also known as “Sputnik” (C.O. George “Pornstache” Mendez), ran a restaurant on the outside with her husband. In Litchfield Penitentiary, she is the head of the kitchen in seasons one and three. C.O. Charles Ford is a senior prison staff member who immediately starts expressing concerns about his job security at the start of season three. While he is not typically involved in the main action of the plot, he gets into quite a bit of trouble for failing to report contraband.